Extend the party in Wellington across two days of epic live Kiwi music with the official Homegrown Pre-Party on Friday night! 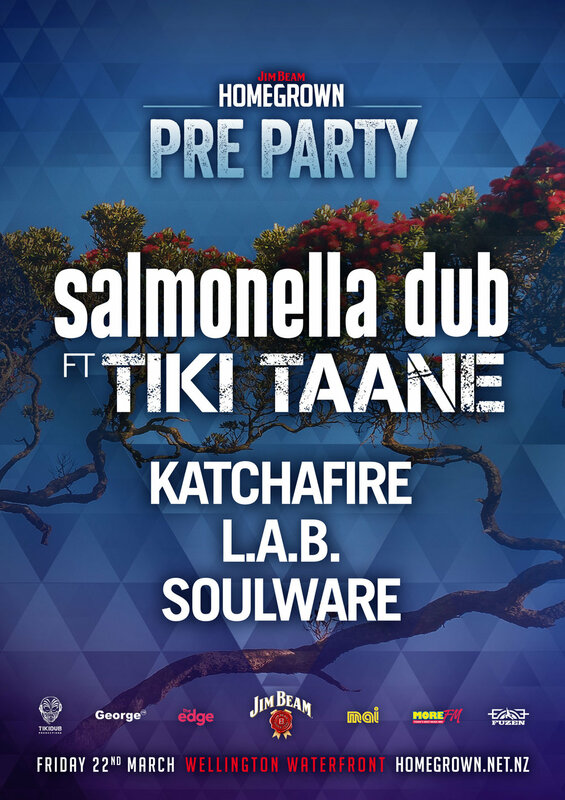 Headlined by Salmonella Dub feat. Tiki Taane with support from Katchafire, L.A.B and Soulware this is the best possible way to kick off your Homegrown weekend. Discounted tickets are available for $69.90 (if you buy at your Pre-Party ticket at the same time as your Saturday Homegrown ticket). General Admission tickets are available for $79.90+ booking fee by following the button below. Pioneers of Aotearoa’s Dub n’ Bass scene, Salmonella Dub have always pushed musical boundaries, taking a reggae foundation and fusing it with multiple genres to create a sound entirely their own. Salmonella Dub hit the Jim Beam Homegrown Pre-Party stage with the welcome return of Tiki Taane. Don’t miss out on what promises to be a truly phenomenal live eight-piece band executed dance floor experience. The pedigree and musicianship of L.A.B. is undeniable. L.A.B. was founded by the legendary Kora brothers. Brad Kora (drums) and Stu Kora (guitar, keys) quickly engaged the extraordinary talent of Joel Shadbolt on lead vocals & guitar and Ara Adams-Tamatea from the mighty Katchafire on bass. L.A.B. are sure to bring high energy vibes to the Jim Beam Homegrown Pre-Party stage. 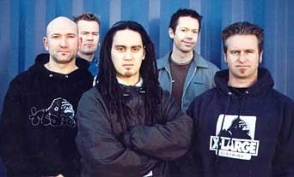 Soulware is a five-piece live electronic act hailing from the South Island of New Zealand. The music they create is lush, emotive, textured, thought provoking, and combines elements of Dubstep, Drum & Bass, Trip Hop, Dub Electronica, Blues and Rock. Soulware will add to the Jim Beam Homegrown Pre-Party vibes. This event is R15. All people under 18 who buy a ticket to the Homegrown Pre-Party will need to pre-register on a special 'Under 18 database'. If you don't register and we don't have your details you won't be allowed into the festival. Click Here to register.